Moving can be intimidating, it requires more than the actual moved. There’s a lot more processes to think about other than just going to a new location and meeting new people. There’s Packing, Unpacking and the actual moving itself can be total chaos, especially if you have no one to help you and if you have no experience at all with removals. 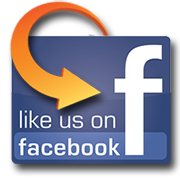 If you want to skip the difficulty of moving, Local Removalists Sydney are the first thing that comes into our minds. 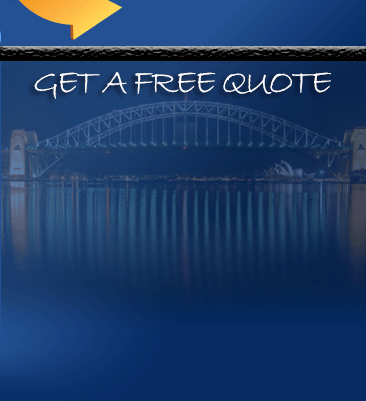 But due to the high demand of professional moving assistance, you cannot easily trust a local removalists Sydney. There are things that you should consider when choosing a reliable moving partner to help you with your move. Pro Removalists Sydney, being one of the leading provider of trusted and quality services, is goping to give you the things that you should consider when looking for a professional local removalists Sydney. You should always allot time for your preparation. If you called the mover just before your move, they may not be able to schedule your move and you may not be able to prepare for any unexpected circumstances which causes rushed relocation. But if you were able to schedule your move weeks before the actual move, you can then prepare yourself and your things for the move. If anything unexpected happens, you can call a different company that will move you. 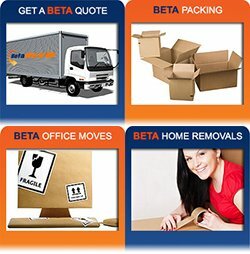 If you can do the packing and unpacking , the only service that you might need is the actual move. But think about your schedule carefully and make sure that you can do those processes. Also, there are two different types of packing processes: Full Packing and Partial Packing. Also consider your moving equipment and packing materials. If you have incomplete materials, you might as well hire packers for a more quality packing. You can’t just pick any random mover since you might get scammed especially if the mover is unprofessional. You should look for a well-credited mover to help you with your move to avoid getting scammed and to maximize the better quality of the move. Never intrust your valuables to just any mover, always remember to only hire credible and recognized movers for the safety of your things. If you still cannot find a trusted Local Removalists Sydney , Pro Removalists is always here to help you. By the time you check your closet and pack your things, you might find some old things that are not worth packing and taking with you on your new home. There are old things we think we still need, but they just might add up to our expenses for the packing materials and especially to Local Removalists Sydney who have rates depending on the quantity of packages. Pro Removalists Sydney is a top notch local removalists Sydney that offers and provides high quality packing and moving services. One of the worst problems encountered by movers are having and moving more packages than expected and that is because of things we bring that are not important. Do not be one of those people who got so carried away with the excitement of moving, Pro Removalists Sydney is going to give you ways on how to get rid of the unimportant stuff. But if you’re going to do that, you should remove all emotional connections to your things so that it wouldn’t be too difficult to let go of your things. One good way to get rid of an item is by opening a garage sale. If you open up a garage sale, some of your items might get paid for their value. And you can even use the cash earned to buy new stuff. Having a garage sale will not only help you get rid of unnecessary stuff, you can also earn from them to buy new things that you need. If you have no time, the fastest way to get rid of the items is to donate them to charities. By giving them to charities, you are able to help people who are less fortunate. Think of it as helping, at least you didn’t have to toss your stuff and it went somewhere where they are needed. If you really don’t want to sell or give away your things, then be crafty, keep them and create something unique out of these things. If you have enough time, be creative. That way, you’ll be able to keep your old things and use them as decorations to your new home. Before you move, you have to choose wisely which things you should bring with you and which things should be left. If you’ve not used it for a while then it is best to get rid of that item and make room for future items that you could buy for your new home. Local Removalists Sydney might be able to help you with your move, but if you have more things, it would only cost you. Pick only the important things, and leave the old ones behind! You can also read our articles about Moving Insurance, Moving a Small Business and Packing Breakables. If you need professional assistance, Contact Pro Removalists Sydney | Local Removalists Sydney now!